It is already warm in the early-morning shade of the narrow street near Girona’s Plaça de la Independència. Ladies are out, hanging their laundry over the railings of their balconies. Two suited gentlemen walk, papers in hands, solving the world’s problems on their way home from the newsagent’s. Scooters buzz. The smell of baking bread wafts out of the bakery down on the corner. An Ape Piaggio in a familiar celeste shade turns up and putters between the colourful buildings towards us. The driver is ducked low behind the windscreen of the cart. He’s wearing a bright yellow shirt. He pulls up to the curb and bounds out. 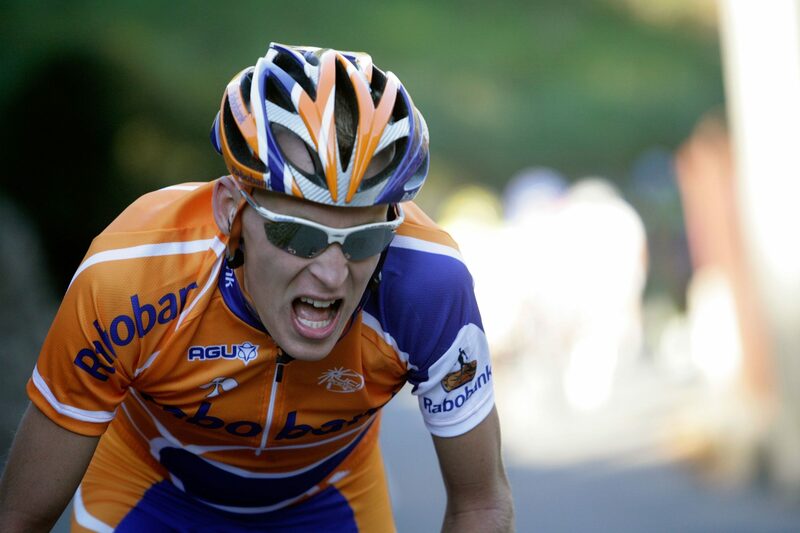 Surely, that’s not—it is—Robert Gesink. With a big grin, the lanky, square-shouldered Dutchman shakes hands all around, grabs some wooden slats from the back of his trike, sets up a ramp, and sets about driving up onto the sidewalk. The little scooter motor can’t quite manage it. A bit of manpower might do the trick. A push and a shove, and a couple of hard revs, and it’s up onto the pavement. Gesink jumps out, thanks us very much, and opens a flap on the back. He steps aside, shoves his hands deep into his pockets, and lets us admire his gleaming espresso machine. He is not quite as I expected. Rail thin and tanned, with a blonde buzz cut, he has the healthy, emaciated glow of a grand-tour racer. And he’s tall, even by Dutch standards. But he’s very relaxed and clearly proud of his little coffee cart, The Broomwagon. He first bought a second-hand one, but it turned out to be a rust bucket under the paint, having spent its first life by the sea. When he went to get it refurbished, the mechanic told him that he had might as well get a new one, so that’s what he did, which meant that he could have it made exactly as he wanted, with space for a Rocket machine and grinder, a fridge, and cupboards. Bianchi provided him with their iconic livery. 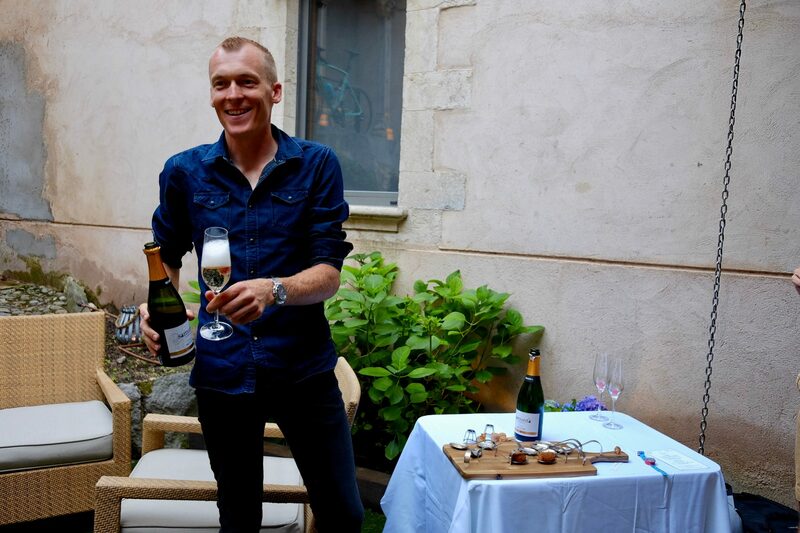 For Gesink and his wife Daisy, it is a passion project really. 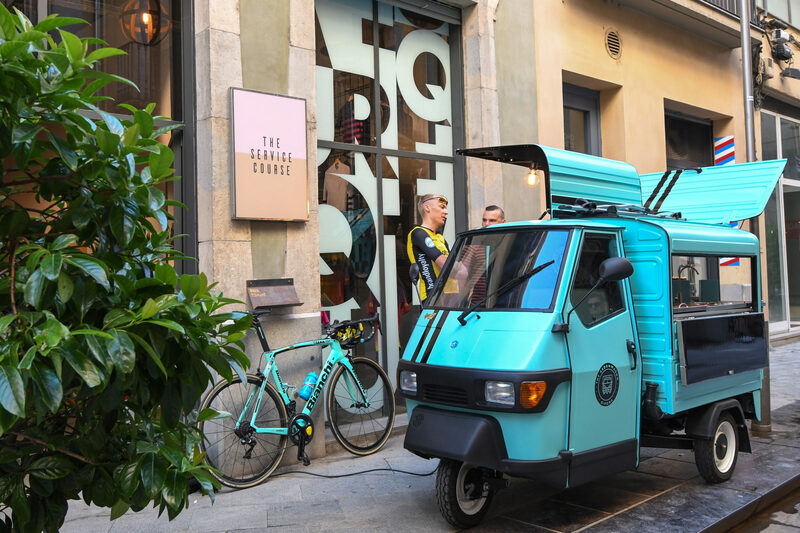 But the little celeste Piaggio has proven to be a great vehicle for them to learn to deal with local business people and negotiate the Spanish bureaucracy. It has brought them closer to the local community and the cycling scene in Girona. They love coffee and making it for people, so they are going to do it right, and see how it goes. That happy-go-lucky entrepreneurial spirit seems to have flourished in Gesink recently. He and his wife have other projects up and running too, with a stake in a soon-to-be-opened restaurant in Girona and plans to help organise high-end cycling trips with TUI. It seems to have carried over into his racing too. The Dutch, long starved of Tour de France contenders, found their man. It is easy to forget that Gesink is only 32. 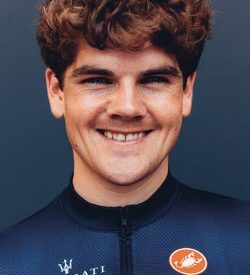 He burst onto the cycling scene in 2007, when, at just 21, he finished ninth at Flèche Wallone, his first UCI Pro Tour race with Rabobank, then went on to drop everyone on the Côte de La Redoute to win the queen stage of the Tour of Belgium. That year, he also finished second in the Tour of Poland, fourth at the Tour of Germany, 13th at the Tour de Romandie, 13th in the Clásica San Sebastien, and 15th at the Tour of Lombardy. Greater success came. The next year, he won the hardest stage of the Tour of California, finished fourth at Paris-Nice, fourth at Flèche Wallone, and fourth at the Dauphine, as well as seventh overall at the Vuelta and tenth in both the Olympic road race and time trial and the world championship road race. Their other great hope, Thomas Dekker, had taken himself out of contention the previous year with a failed dope test, so the weight of the public’s expectations fell on Gesink’s shoulders. His best was yet to come. The next year, he came third at the Amstel Gold race, fourth in the Dauphiné, sixth at the Vuelta, sixth at the Tour of Lombardy, and won the Giro dell’Emilia, despite several untimely crashes. The Dutch, long starved of Tour de France contenders, found their man. Their other great hope, Thomas Dekker, had taken himself out of contention the previous year with a failed dope test, so the weight of the public’s expectations fell on Gesink’s shoulders. And he delivered. After finishing fifth at the Tirreno Adriatico and winning the hardest stage of the Tour de Suisse, he went on to finish sixth for the orange team at the 2010 Tour, a result which was later upgraded to fourth. He finished the season off with a victory at the GP Cycliste de Montréal and another win at the Giro dell’Emilia. Pundits, fans, even coaches and other riders, said he was too soft and fragile, that he didn’t have the mentality of a champion. The public’s expectations soared. 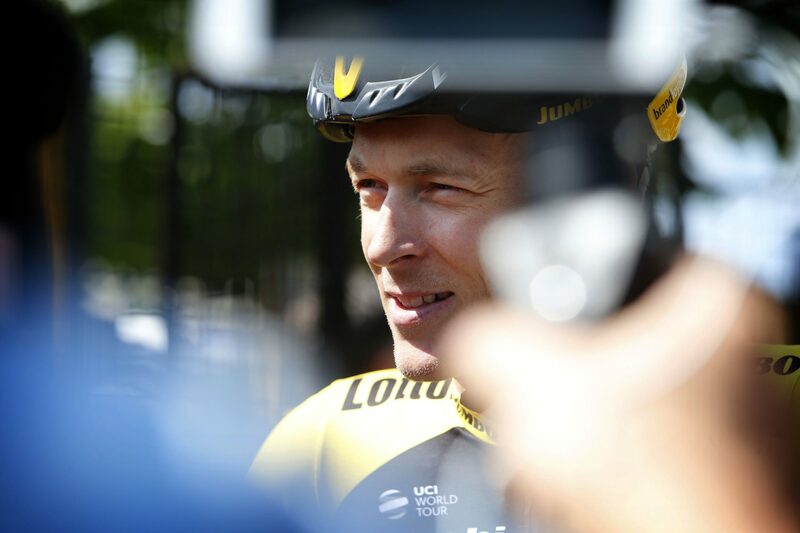 In the Netherlands, Gesink was heralded as the next Joop Zoetemelk, the farmer’s son who would bring the maillot jaune back to the polders for the first time since 1980. Having achieved so much at such a young age, he certainly had the physical ability. So, when he faltered, he was subjected to very harsh criticism. Pundits, fans, even coaches and other riders, said he was too soft and fragile, that he didn’t have the mentality of a champion. It was as if all of the mishaps he faced were of his own making, that if he were beaten, it was due to a weakness in his character. Otherwise, he would win grand tours, the public thought. To some extent, Gesink seems to have internalised these expectations. He says he would worry for months ahead of the Tour, not wanting to do anything that might jeopardise his result. During the race, his nerves would be wracked, as he obsessed about not making mistakes. He lived for the Tour, utterly determined to live up to his potential. His best result was that fourth. In bike racing, nothing is predestined. So, if there is a fair way to judge a rider’s character, it’s by how he responds to adversity. Perhaps, Gesink could have handled the pressure better, but the expectations placed on him as a young racer were blown out of proportion. And the setbacks he has faced during his career have been particularly trying. A weaker man would have quit. 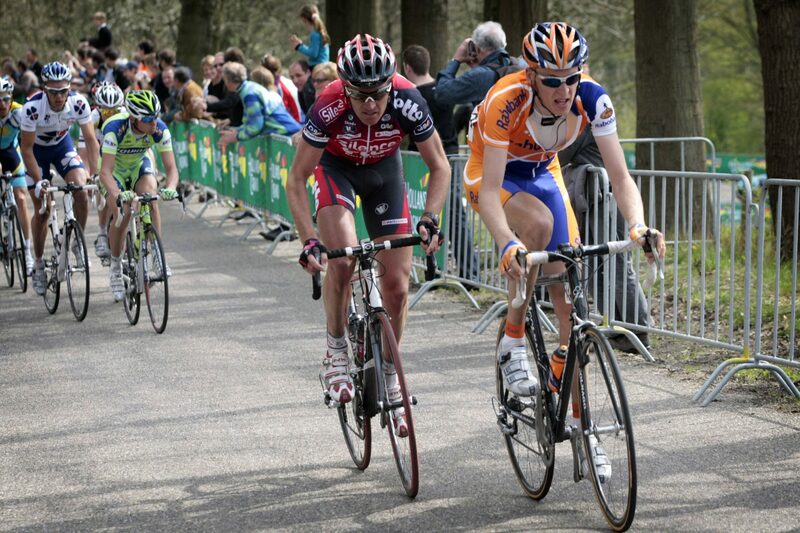 At the end of the 2010 season, he lost his father to a cycling crash right before the world championships. That was a huge blow. It was his father who had gotten him into cycling and brought him to his first races. They had ridden regularly together ever since he was a boy and worked together on the family farm. 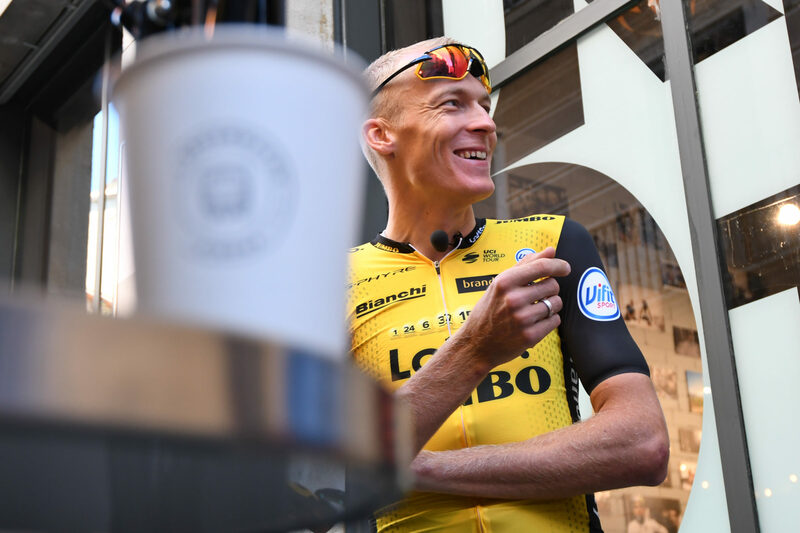 That next winter, Gesink channelled all of his grief into training and arrived at the Tour de France in fantastic form. He struggled on, a shadow of his former self, swollen and bruised, with infected road rash. He had finished second at Tirreno Adriatico earlier in the season and had high hopes of bettering his previous year’s result. But he was caught up in a heavy crash in the first week, which wrecked his chances. He struggled on, a shadow of his former self, swollen and bruised, with infected road rash. It took him a while to recover, but things were looking up towards the end the season, when he finished second at the GP Québec. Then, he crashed during training a few weeks before the world championships and broke his femur, an injury that took took him half a year to recover from. He was back to his best for the 2012 Tour of California, where he won the queen stage on Mount Baldy and the GC. But then he crashed again at the Tour and had to give up. He managed to get back in shape in time for the Vuelta, where he finished sixth, but the next spring, he discovered a problem with his heart, which took him out of competition yet again. He’d had occasional palpitations ever since he was a junior, but had never thought they were anything to be worried about. But after the uphill time trial at the Giro that May, they left him unable to breathe. As he lay on the ground, hyperventilating, it dawned on him that there might be something seriously wrong with his heart. He could no longer trust the engine he relied on. He would have to leave the race for the hospital and face a battery of tests. Then, at the Tour of the Basque Country, his heart went berserk. At first, the doctors could not identify the problem, so they inserted a monitor to keep track of the rhythm of his heart. Every time he took off his shirt, it was there, under his skin, to remind him that his life might hang in the balance, that every time he pushed his heart to its limit, he was taking a risk. He raced a full season with it, and won the GP Québec, without it detecting anything abnormal, so he had it removed, though he promised himself that if his heart gave him any more trouble, he would stop. He began well the next spring, finishing sixth at the Tour Down Under and fifth at the Tour of Oman. Then, at the Tour of the Basque Country, his heart went berserk. There and then, he decided that it had to be fixed. He underwent an operation a few weeks later, and the doctors discovered the pinch that was causing his problems. Luckily, it was not life threatening and could be easily resolved. There was even talk of him racing the Tour. Instead, he opted to focus on the Vuelta and travel to America with his then-pregnant wife to train. He accumulated a huge number of kilometres as they rode—he on his bike, she in a rental car—between towns, staying for a couple of days in each. They had a shared goal—the Tour of Spain. And their hard work payed off. 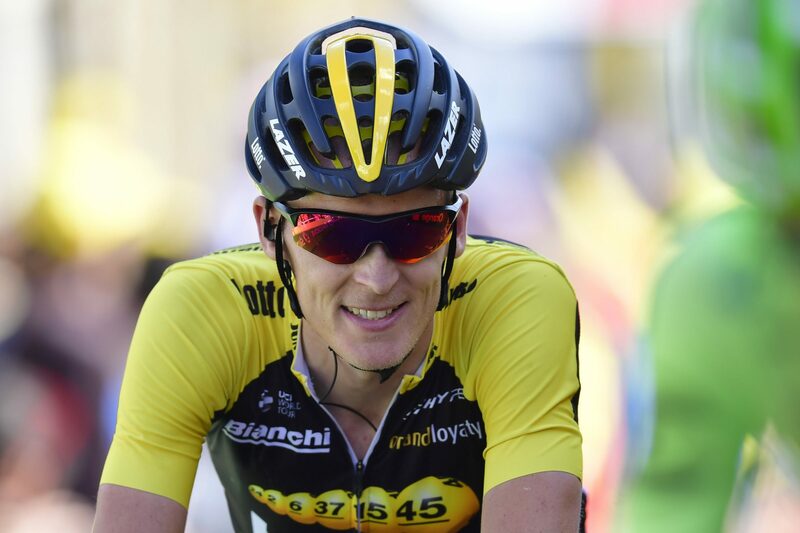 Gesink again showed his class as a grand-tour racer. Little did the world know that his wife was in hospital, suffering from severe complications with her pregnancy. For two weeks, Gesink raced on, utterly distracted, but by the 17th stage, Daisy’s situation had become critical. She would have to have a risky operation. She called him and asked him to come home. At that point, he was seventh on the GC and had a very good chance of earning a great result, but he didn’t think twice. By the time he arrived back in the Netherlands, Daisy was in the maternity ward, about to give birth to their child after just twenty weeks. Thankfully, they were able to stop her contractions in time and send her to a hospital that specialised in early births. The next few days were very tense, but everything went well, and their son was born 18 weeks later. 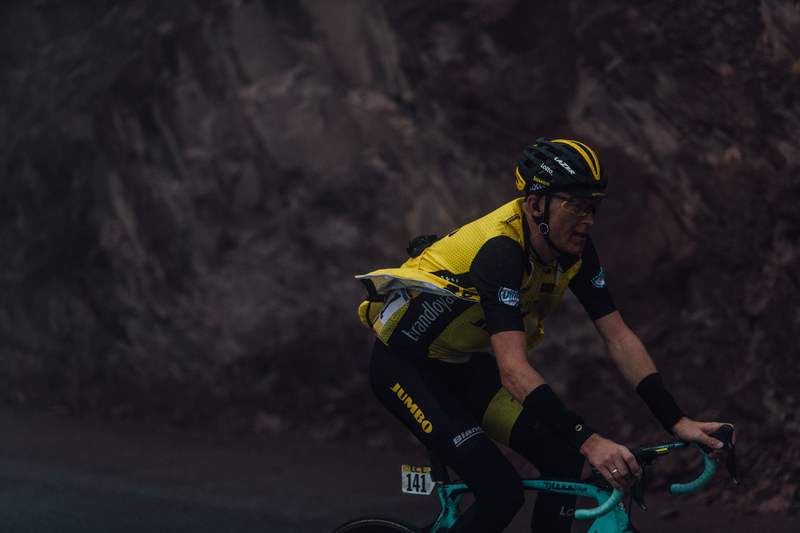 After a difficult winter, Gesink suffered a knee injury early the next spring, but managed to recover and ride a strong Tour, finishing sixth in the overall classification behind Froome, Quintana, Valverde, Nibali, and Contador. He then ended the season off with an 11th place at the Tour of Lombardy. Finally, Gesink’s luck seemed to be turning around. He could have been forgiven for thinking that his troubles were then behind him; he was due a break. But the next year began badly for Gesink too. A crash at the Tour de Suisse left him with a concussion, which prevented him from riding, let alone racing the Tour. It was only later in the summer that he was able to put together a few decent weeks of training—enough to start the Tour of Spain. There, he salvaged his season with a fantastic stage victory on the Col d’Aubisque—his first ever grand-tour win. Finally, Gesink’s luck seemed to be turning around. He had a good winter and a solid spring and arrived at the start of the 2017 Tour raring to go. On the eighth stage, he came very close to winning, finishing just behind Lilian Calmejane on the climb to Station des Rousses after a day in the break, and was looking forward to having another shot in the mountains later in the race, but the next day he broke his back in a high-speed crash, which left him stuck in a brace for the next three months. It was winter before he could ride. And yet, sure enough, Robert Gesink took to the start of the Tour Down Under this spring. What has kept him going? Despite all his misfortunes, why has he kept coming back? Drive, determination—that goes without saying. A racer of Gesink’s calibre has to be dedicated. But dedication and duty cannot often be distinguished, and Robert Gesink no longer has to race. A new generation of very talented Dutch riders has emerged to carry the weight of their country’s expectations, and, besides, Gesink is no longer so concerned with others’ opinions anyway. He is already proud of all he has achieved. It seems he just loves to ride his bike. After he has pulled us each an espresso, we roll out of town, and he points out the sights. Cycling with Gesink involves castles hidden up back roads and lookouts over hills that rise and fall all the way to the Pyrenees. It is hot out, and flowers are blooming all over the fields. He is happy here. The weather is good all year round, and the terrain is excellent for cycling. The prosperous little Catalan city they call home has become a resort for pros and faux-pros alike, which means that there is aways a good group to ride with, though Gesink still does much of his training alone. Don’t be mistaken though. Robert Gesink is flying fit. He will drop their kids off at school and then head out to do his intervals. On weekends, Daisy and the kids will sometimes drive out and meet him for a picnic halfway. They are happy in Girona too. It is good to have other families in town who understand the life that cycling imposes on them. Many of Daisy’s friends’ boyfriends and husbands are away at the races all the time too. And they appreciate the anonymity the city offers. Away from small-town Holland, they can blend into the old city streets and enjoy life for a few hours once Robert’s training is done, sit and have a meal on a terrace and watch the world go by without being watched. They miss family, but enjoy the freedom and relaxed atmosphere of colourful Girona. Their kids are already fluent in Catalan and Spanish. Away from the pressure, he’s a more pleasant person now too, Robert says. We stop at his favourite café by Lake Banyoles and eat a big, leisurely lunch by the water. Lotto-Jumbo’s nutritionists are tracking everything he eats before the Tour, but he does not seem particularly bothered. It is more important to stay strong and healthy than lose an extra kilo, he says. Don’t be mistaken though. Robert Gesink is flying fit. On the bike, he chats easily, as we climb, his long, wiry legs spinning the cranks as if they were a coffee mill. Just a few weeks ago, he’d finished second in the hardest stage of the Giro, coming close to what he now most covets—his next grand-tour win. His Vuelta victory on the Col d’Aubisque showed him that stage wins in the mountains can be just as satisfying as success in the overall classification. They take as much work to achieve, and the satisfaction comes in one gratifying rush. He is also realistic about his GC chances in races such as the Tour. Grand tours are becoming more and more of a game of watts per kilogram, he says. At 72kg, he can, on his day, climb with the best. But over three weeks, he has to use a lot more energy than the jockey-like riders who weigh 10kg less than him. It’s not as if he will never again race for a classification; he just needed a change. It’s like a worker who has done the same job for ten years, he says. At a certain point, you have to try something new. You have to take risks. His new way of racing suits him. He enjoys working for his teammates at Lotto-Jumbo. Steven Kruijswijk and Primož Roglič have emerged as GC threats and Dylan Groenewegen is one of the fastest finishers in the peloton. The atmosphere in the team is very good now too. It’s much more democratic than it was in the Rabobank days, Robert says, and they have a long-term commitment from their sponsors, which provides them with a lot of security and allows them to experiment. Gesink often has a free role. He is determined to make the most of his chances. Still, with good luck and good legs, Gesink knows he can pull it off. Still, for him to win, everything has to fall into place. He first has to survive the dogfight to make it into the escape. Then, the make up of the move has to be just right. 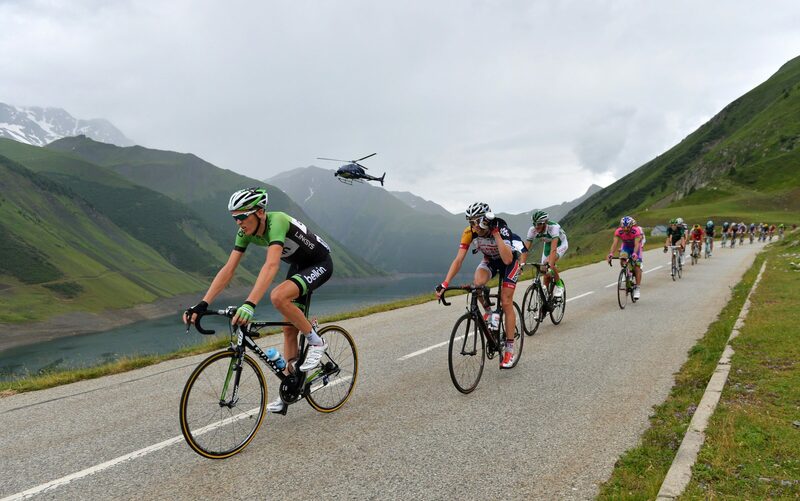 If any classification threats are present, the peloton won’t let them get away. Tactics in the break then have to play out in his favour too. A lesser climber who has had an excuse to sit on is likely to beat him uphill if he’s had his wheel in the wind from the start. There’s the overall race situation to consider too. 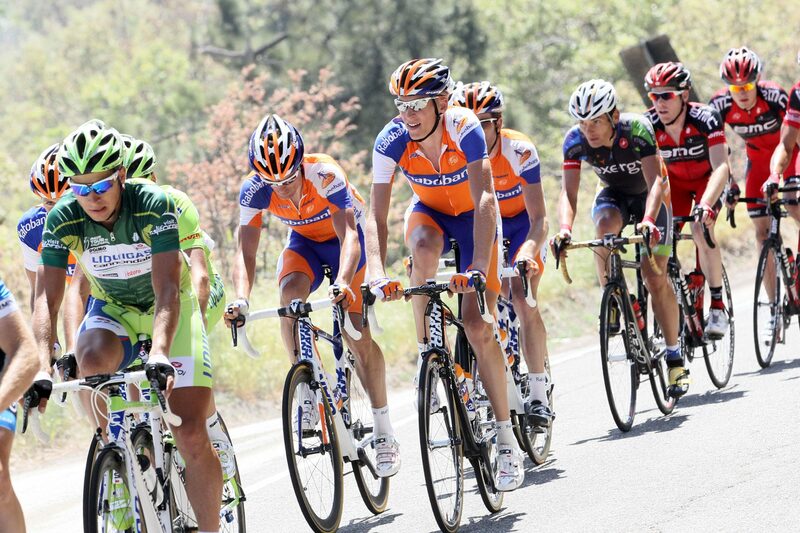 A group of GC riders can pull back many minutes on a climb if they attack it full-gas. Still, with good luck and good legs, Gesink knows he can pull it off. He has the class. It is just a matter of putting himself into promising situations and doing his best. There is so much that he cannot control, so much that is subject to chance. That he has learned all through his career and come to accept. He just has to go for it, stay calm, and keep trying. After an easy roll through the countryside, he drops us off at the bottom of Rocacorba. We will climb it. He has to go home to rest. We see him again that evening for dinner in their porticoed courtyard in Girona’s old city centre. He is very relaxed. Daisy has cooked a five-course meal for us to linger over. Soft conversation and the tinkling of cutlery seem to infuse the night with well-being. Robert stands to propose a toast and thank us for coming. I look up. I want to thank him—for all he’s endured during his career, all he’s done to entertain us. But I don’t. I will thank him later for being so welcoming. He fills our glasses with cava and raises his into the darkness. For all his good nature, he still has that hardness in his eyes. A stage win at the Tour is the only thanks that will count.